DNA, Cancer and Meditation: Is There a Connection? When it comes to achieving total wellness, there are many factors to consider, but most of us don’t think of meditation as being important in maintaining physical vitality. We know that following a healthy, whole foods diet with proper supplementation, participating in regular moderate activity and maintaining a positive social support system are important for our health on all levels – physical, emotional, psychological and spiritual. However, despite these health-promoting habits, many of us still struggle with managing our stress levels. Stress not only affects our mental and emotional states, it has grave consequences for our physical condition as well. Science is proving over and over that stress greatly contributes to many of our most serious chronic and deadly health conditions. This direct connection between our mental/emotional states and our physical bodies is something that Eastern philosophies have taught for millennia, and recently, science has added an interesting new technical perspective: recent studies have revealed that chronic stress may have a profound effect on our DNA by shortening our DNA telomeres. Telomere deterioration puts us at higher risk of developing cancer and other harmful conditions. The good news is that there is an ancient and well-known mind-body practice, which is now proving successful in physically repairing this DNA damage, while restoring peace of mind at the same time. What is this practice? Simple meditation. Our genes are located on twisted, double-stranded molecules of DNA called chromosomes. At the ends of the chromosomes are stretches of DNA called telomeres. These are essentially end caps that protect our genetic data, allow for cells to divide properly and reflect how we age. Similar to the plastic covers on the ends of shoelaces, telomeres protect chromosomes from fraying due to aging, poor health, and environmental influences. Telomeres are shortened every time the cells divide, and when they become too short, the cells are not able to divide properly. While researchers are already aware that telomeres shorten and deteriorate with aging, new studies are finding that chronic stress also contributes to their reduction and the shorter the telomeres, the higher the risk of developing cancer. Studies have recently uncovered an association between shortened telomeres and many types of cancer, including pancreatic, bone, prostate, bladder, lung, kidney, and head and neck. Shortened telomeres and reduced telomerase activity have also been identified as important contributing factors in prostate carcinogenesis, ovarian cancer, genomic instability, and breast cancer pathogenesis. The inevitable wear and tear of your telomeres cannot be stopped altogether, but it can certainly be prolonged and even reversed through the activation of a key enzyme called telomerase. Telomerase adds bases to the ends of telomeres and keeps them from weakening and fraying. So how do you reap the benefits of this super-charged enzyme? Studies have shown that psychological changes associated with regular meditation improve your ability to cope with stress and maintain feelings of well being, and contribute to increased telomerase activity. 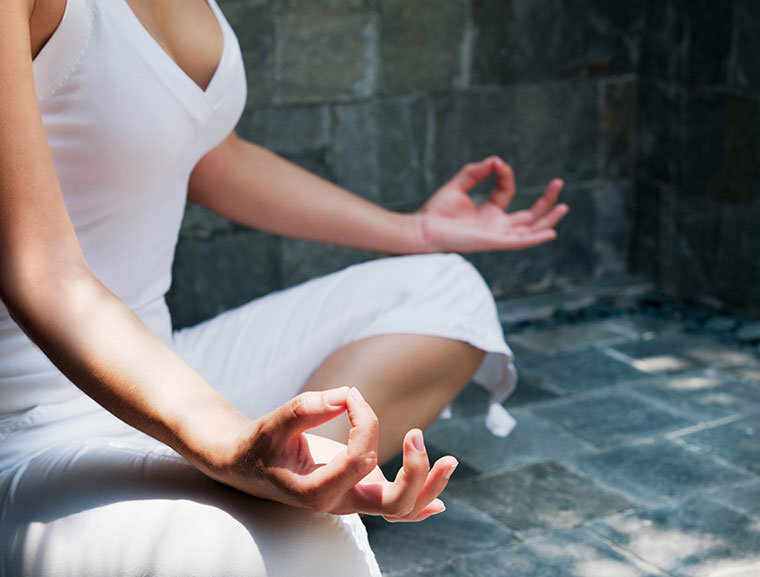 Regular, mindful meditation promotes relaxation, stress relief and improved circulation. Studies show this allows for advanced telomerase activity, promoting cellular health and longevity naturally. On top of reducing stress in order to slow the shortening of telomeres, following a healthy lifestyle with proper nutrition, supplementation and detoxification will provide profound cellular health and anti-aging benefits. Proper nutrition combined with gentle seasonal detoxification helps protect your DNA from damage and improves overall physical, mental and emotional function. One of the primary contributors to aging and disease is oxidative stress from “free radicals” in the body, which causes a chronic inflammation cycle and damages cells, DNA, proteins and lipids. Environmental toxins and heavy metals are some of the main culprits of oxidative stress, as well as unhealthy diet, inflammation, infection, inactivity and stress. Regular seasonal detoxification using potent antioxidants and other detoxifying nutrients, together with healthy stress relief techniques, are critical in a long-term health and anti-aging program. As more and more research emerges on the importance of meditation for healing, I encourage everyone interested in natural health and wellness to engage in this simple yet meaningful practice of relaxation and regeneration. My own personal 2-year meditation sabbatical has been profound for me, and as this process winds down, it is my deepest desire to share what I have learned during this time with anyone seeking deep healing and rejuvenation. Regardless of your age, health, or belief system, simple regular meditation practice can benefit you on all levels. As more and more doctors and health practitioners are recommending this ancient, time-tested practice, meditation is on its way to holding a well-deserved reputation as a simple, yet powerful and safe modality for supporting health and preventing illness. For information and tips on simple mediation practices, visit here. Stress is a reaction. The mind holds onto it. Therefore, Stress can become a Psychosomatic Phenomenon, which can continue on its own power from the mind, even after years of the original experience ending. Meditation can relieve it, but many times it creeps back in, that is because the true source is not handled. There is a newly discovered technique that handles stress at the source. It is in a work called “Happiness is no Charge”. Here is the weblink. I have been doing the technique now for about 2 and a half years. Some days I don’t even need it. When I started I was doing it everyday, several times a day for my stress and other negative situations, negative emotions, etc…, and I still use it for that when they crop up. I still find things to work the technique on. The technique generally works in MINUTES, it does not take 20 minutes a day to work, and doing it for weeks at a time every day. It will work on just one thing at a time, like Anger, or it can be combined with however many negative emotions, conditions are present. Like Stress, and depression, with underlying Anger. These all have the same SOURCE IN THE MIND!!!!! The same mechanism is a work. Like a cog in a watch, and a wheel on your car. Totally different but they are both a CIRCLE!!!! Stress might seem different than the emotion of Being in Doubt, but they do have the same underlying mechanism. Go check it out. Well worth the $2.99 for the Kindle Version on Amazon, and you don’t need a Kindle to read it. The websight tells you how to download and set up Kindle for PC, which is FREE, and how to download the Ebook from Amazon, and it will be delivered to your computer in an instant!!! 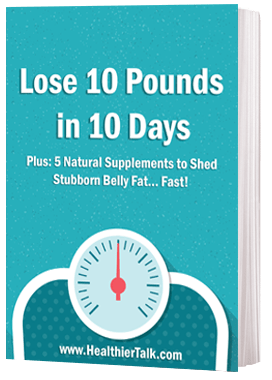 The Kindle Version is a quick 20 minute read and you can learn the simple 1,2,3 step technique in about 5 MINUTES!!!!! Easy!!!!!!! Cheap!!!!! And it works!!!!!!!! I am a person with “out” chemistry because of having no thyroid due to Grave’s Disease. If I can have calm emotions, and yet have bad chemistry, then maybe emotions, while linked to body chemistry, IS NOT CHEMICAL by themselves. Anyway, well worth your time to check out. Everybody has trauma in their life and that is where stress and negative emotions and the results of same are coming from. It is all a type of trauma. The Hindus called it, Dukkha! “Suffering”. A type of Trauma. I meditated for 30 years!! !